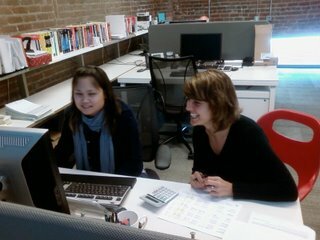 Renee and Amanda Hard at Work! Doing the 401K for Spin. A thankless task. Oh, this was my first mobiblog. I took the pic with my cellphone and sent it directly to Blogger. Cool and fun. These are the tags in my neighborhood. . .